Trainer Paul Preusker will be out to make the most of a rare stakes runner with Magic Consul. Country trainer Paul Preusker hasn’t had many shots at the big time and will break new ground when Magic Consol runs in the Dato Tan Chin Nam Stakes at Moonee Valley. Based at Horsham in western Victoria, Preusker has been training for more than 25 years and has had more than 2500 starters. But only 16 have been at stakes level. Magic Consol will be his first Group Two runner when he lines up at weight-for-age on Saturday. “Let’s hope he can go alright as it might be a highlight for another couple of years,” Preusker said. Magic Consol hasn’t raced since winning the Listed Winter Championship at Flemington in July which followed a win over Saturday’s course and distance in June. Before those victories Preusker already had Saturday’s race in mind. Preusker said Magic Consol was given a week off following his latest success before being trained up for Saturday’s return in which he’ll be ridden by Jordan Childs. “We thought he deserves a crack at it so hopefully everyone’s happy after it,” Preusker said. “He loves the track but it depends on how they run it whether it suits him or not, but we go there with an open mind. 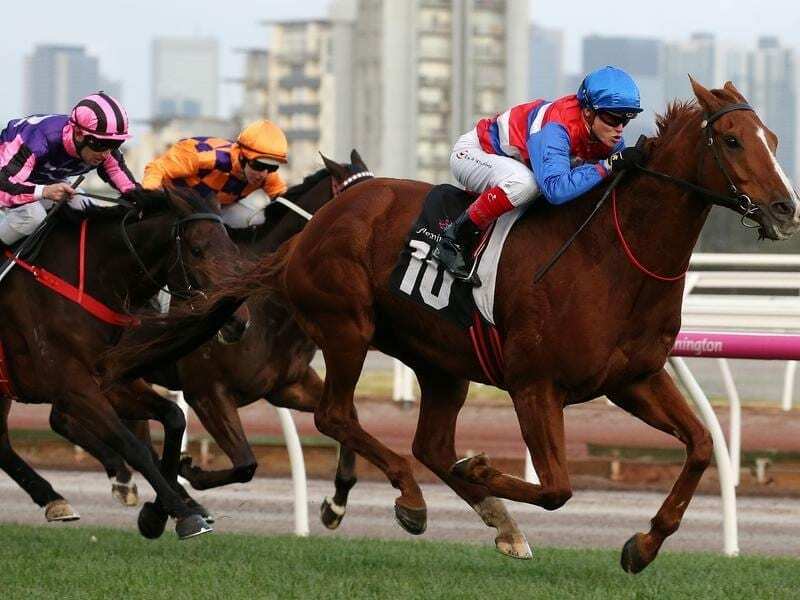 Preusker doesn’t want to see a repeat of the last Moonee Valley meeting that favoured horses racing on speed despite Magic Consol going into Saturday’s race the freshest he’s been for a 1600m attempt. Saturday’s performance will allow Preusker to gauge what’s next for Magic Consol, saying he’s got some ideas. “There’s a couple more races that might be suitable if he can hold his form, but we want to get Saturday out of the way and then assess it,” he said. In an open race Magic Consol is a $23 chance with fellow country-trained galloper Night’s Watch the $3.40 favourite ahead of Hartnell, who has firmed from $4.40 into $3.80.